As an artist that frequently uses her thoughts, emotions and feelings as substance for her abstract work, her artworks usually turn out to be a motley of aesthetic mayhem. Such as the matters of the heart and mind, it is never clear, rarely uncluttered and most definitely not immaculate. “We live our true lives in the depths of our hearts, not in the superficial masks of personality which we show to the world,” said Dato’ Sharifah. With this piece she exhibits the true matters of the heart, mind and soul, how the thought processes are never muted and never silent, always showing their garish colours deep within. It is a piece that says “although outside you may seem calm and collected, the inside is a different story”. Dato’ Sharifah was a former student of UiTM (Universiti Teknologi MARA), Malaysia, Reading University in England and Pratt Insitute in the United States respectively. 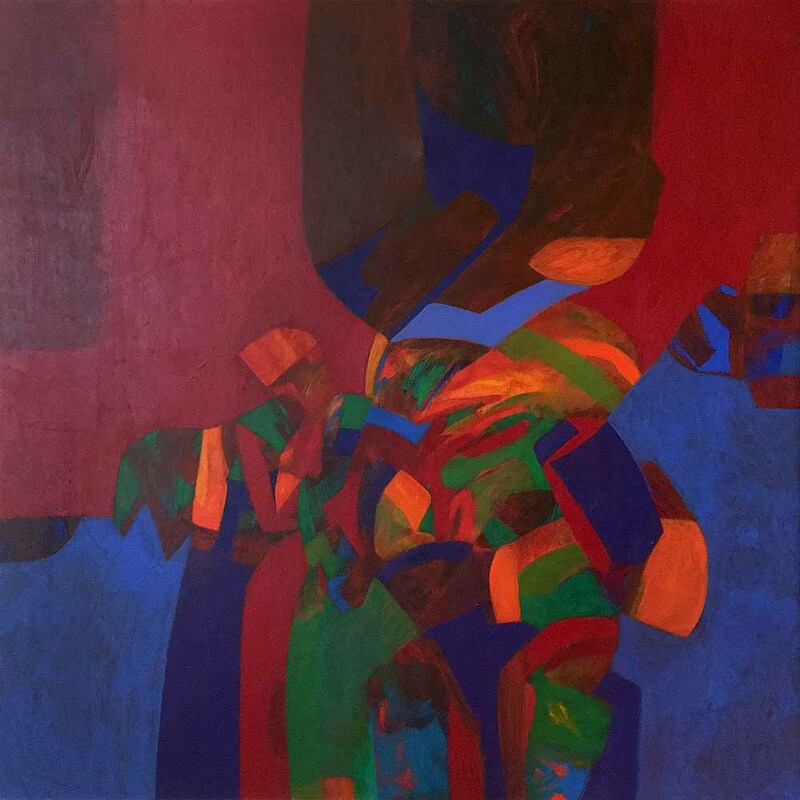 Whilst curating at the National Art Gallery in 1982 for seven years, she was awarded the Salon Malaysia Competition’s Major Award and the Minor Award in the Young Contemporary Artists Competition as well.